Matrix Scheduler is an optional module for the Matrix Gemini LIMS (Laboratory Information Management System) from Autoscribe Informatics. Users can automatically schedule reports, worklists, registration of samples and more. In this way activities can be managed more efficiently and savings in staff time can be made. 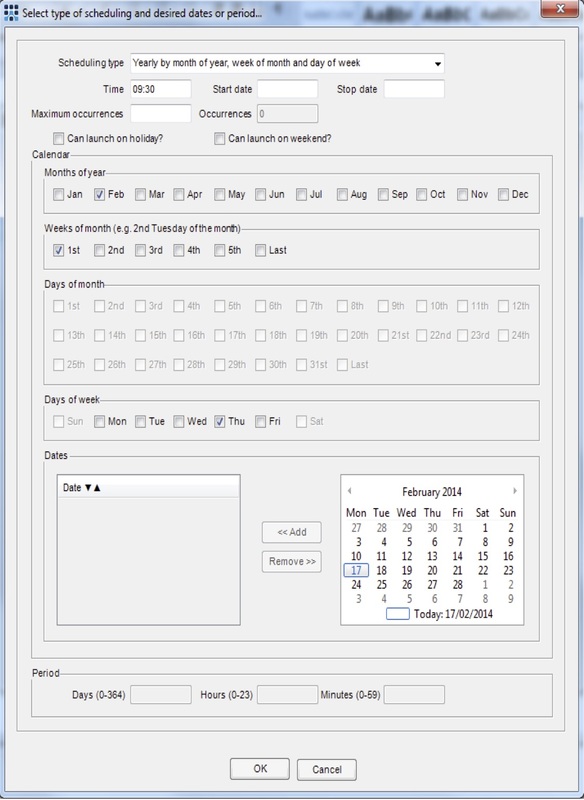 An easy to use interface allows flexible scheduling in a number of ways, based on dates, times, days of the week and other parameters. Examples include daily (such as ‘every day at 16:19’) and yearly (such as ‘every year on the third Tuesday in November at 09:30’) as well as many other combinations. Period schedules can also be set, such as ‘every 5 days, 19 hours and 7 minutes’. In addition to scheduling tasks within Matrix Gemini, Scheduler can also trigger external programs. These could include email reminders, reports, backups, any Microsoft program, etc. so that they are ready for staff arriving at work or prior to important meetings or deadlines.